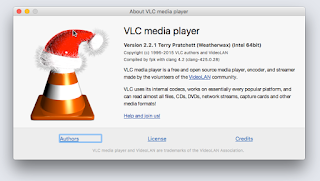 ...VLC gets its santa hat on. It happens every year by itself. Little touches that make you smile. It's possibly the top 3rd-party app to have installed on your Mac. Not Mac-like at all in its UX but it does stuff that the system ought to be doing by default. And who knew that Terry Pratchett was responsible for this essential piece of kit? [Update] Be very careful when installing VLC. 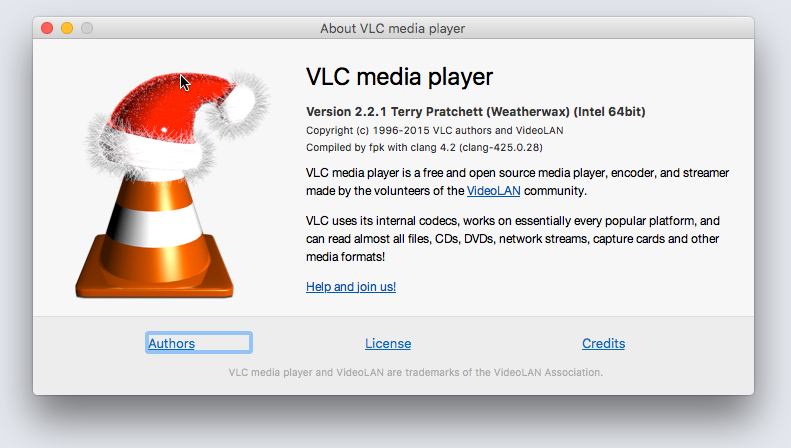 It's easy to search, spot a result claiming to be the VLC download / install, but turns out to be a third party installer which may or may not install VLC, and will attempt to install other less desirable software at the same time.